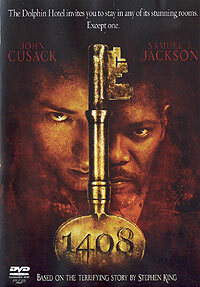 Based on a Stephen King tale, 1408 contain many of the recurring themes he’s become known (loved and loathed) for. Cusack plays Mike Enslin, paranormal skeptic who investigates haunted locations and writes books about his experiences (or lack thereof). But the he receives a message not to visit room 1408 in the New York based Dolphin Hotel. His request for this room seems futile until he demands the night’s stay from the manager (Jackson). This room has led to the deaths of many visitors, but only makes Enslin more eager. Slowly his night of disbelief turns to a nightmare, or is he just going nuts? Visually and psychologically well-constructed and engaging for its predominantly single location.